KCON, the world’s largest Korean culture and K-pop music festival, announced Jan. 27 that popular Korean-American singer and host Eric Nam (Nam Yoon-do) will perform as part of KCON Mexico. He will join previously-announced BTS, Astro, and MonstaX in an all-star line-up. Tickets go on-sale Feb. 7 and will range between $50 and $225 USD. KCON Mexico will take place at the Mexico City Arena, located in the Azcapotzalco neighborhood, on March 17-18. 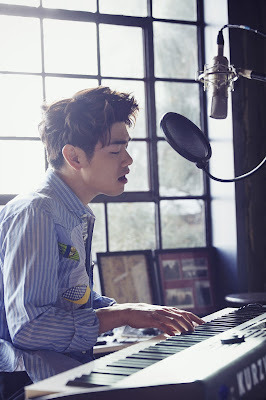 Eric Nam is a Korean-American singer and television host. He rose to fame from posting cover song videos on YouTube, which eventually led to him appearing as a contestant on "Birth of a Great Star 2" in 2012. Since then, Eric Nam has released 2 EPs with the latest being titled "Interview" on March 24, 2016. Eric Nam’s most recent release is a collaboration with GRAMMY-nominated American singer Gallant and South Korean rapper/producer Tablo for the song “Cave Me In,” which was released on Jan. 27. KCON 2017 Mexico will feature two full days of convention programming covering every aspect of Korean culture including K-beauty, Korean food, K-drama, Korean film and more. Also included in the schedule will be artist meet and greets where fans will be able to come face to face with their favorite performers. Each day will close with a star studded concert featuring the top artists from Korean pop music. Additional artist will be announced to the line-up in the weeks to come. For the latest KCON Mexico news, fans are invited to visit kconmexico.com and follow @KCONMexico on Twitter, Facebook and Instagram, where artist line-ups and ticket information will be announced. Fans can also join the conversation at #KCONMexico.